It was a night to forget for Derry City in Denmark tonight as they leaked six goals to their Danish hosts. Midtjylland were a step above City all over the pitch, as they moved the ball with pace and power around the pitch. The home side hit the front after three minutes with a free header from Del Hande as Poulsen delivered a pin point free. It was two nil after fourteen minutes as once again City failed to defend a corner. City forced themselves back into the game but a penalty after 43 minutes ended the game as a contest. Poulsen stepped up and stroked home to ensure the home side entered the break well in control. City tried to get a consolation goal at the start of the second half and appeared to have a stone walled penalty denied. However the home side upped their gears and added another brace through Kroon. Curtis did get a goal with a strike from Curtis but the home side piled on the agony with a sixth. 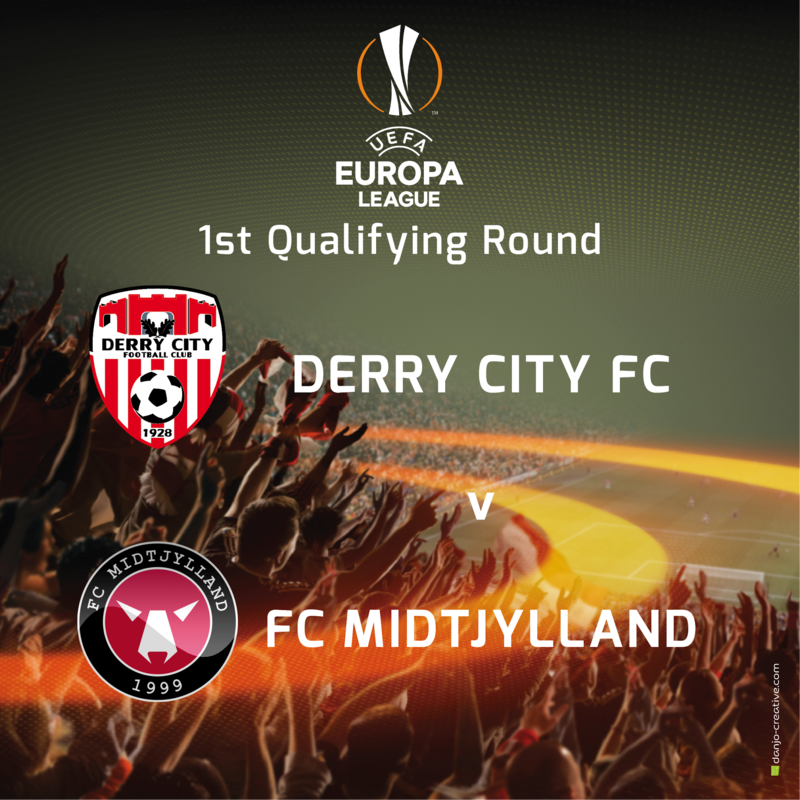 It was a long night for Kenny Shiels and his charges and they will have it all to do over again next week when Midtjylland visit Sligo for the second leg.